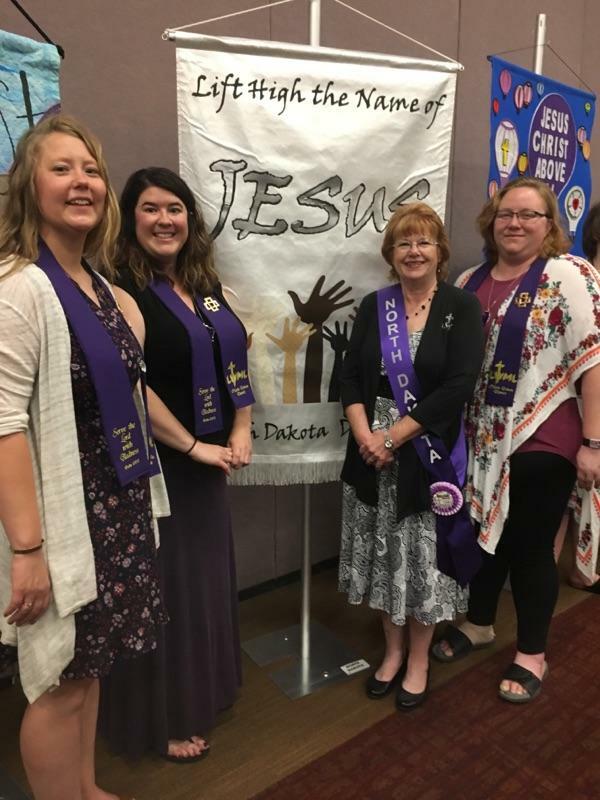 Pictured with the North Dakota District Banner(made by Carol Kosel): YWR Alissa Arndt, Fargo; YWR Kim Kuhlmann of Bismarck; District President Valerie Biberdorf, Carrington; and YWR Michaelle Peterson, Ellendale. New Mission Grant Resources Available! Check out the Mission Grants page for some beautiful new downloads created by Geneal Roth! The bookmarks make a great reminder to pray for our Mission Grant work in North Dakota and around the world. Giving a Mission Grant donation as a gift? Include a bookmark with your card so that your “recipient” can continue to pray for our Mission Grants. The LWML Leaders Manual and the LWML Handbook are now posted on our website, www.lwml.org! Totally revised, the 2015 LWML Leaders Manual details the responsibilities and duties of our LWML leadership, which is helpful for those who are elected or appointed to serve; it’s also useful for those who wish to be considered for an LWML committee appointment and need to know the scope of each position. The 2015 LWML Handbook, also totally revised, is the resource that describes each part of the LWML … local groups, zones, district, and national … and how they fit together into one cohesive unit. Included is the function and purpose of each part, definitions of LWML words, sample bylaws, a map of district and regional borders, a listing of all mission grants since 1943, Mite Box devotions, installation services, and LWML songs. Both resources are offered as free downloads from the website; they are no longer available for purchase through the LWML Store. You may print as many copies as you wish or send them as attachments via email. Many districts supply a copy of each document to every member of their board of directors. The time is NOW to read, study, and share these basic LWML resources! As the LWML continues to grow, both documents will periodically be refreshed to reflect new ways to serve the Lord through the LWML. What will not change is our commitment to serving the Lord with gladness and support of missions!